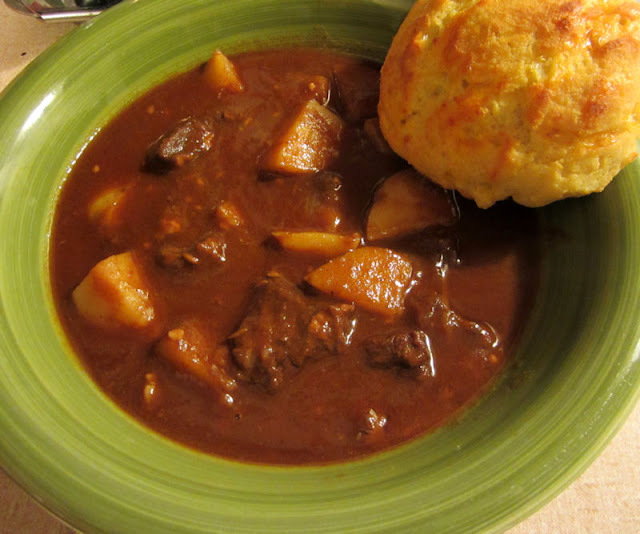 I dont know about you, but these cold winter days make me crave warm, hearty food. Okay, so its 70 degrees here (one perk about living in the desert), but just watching the news of all the havoc the weather is wreaking in the South makes me crave warm, hearty food. Also, I love anything with Tabasco. I came across this recipe during one of my late night Pinterest trolling sessions, and it intrigued me. Tabasco? Chickpeas? Kale? Either it would be a success of epic proportions, or it would be a complete, albeit healthy, disaster. Either way, you only live once. I absolutely adore food blogs and Pinterest recipes. The only problem is that I never know if the recipe is going to work in the “real” world, or if its going to fall flat without Photoshop and 10 thousand kitchen tools that no one actually has. The good news is, this recipe delivered (plus some). I have nothing fancy in my kitchen, and I cook on a strict budget. We are a one income family, so there is no room for waste, or for 25 ingredient dinners. Not only is this recipe incredibly easy, it was also an out of the park hit with the family. 1. Most people use oil to cook their chicken thighs, so here is where I should tell you to season the chicken with salt and pepper and cook until just done over oil. I actually go old school (and save some calories in the process) and boil my chicken thighs until the meat is loosening off the bone. Boiled chicken isn't for everyone, but I much prefer the tenderness that it creates in the meat. 2. Remove the thighs from the water, sprinkle with salt and pepper OR if you used the oil method, set them aside. 3. In a large skillet or pot, combine the tomatoes, beans, kale, Tabasco, and water. Add onion powder (you can certainly use fresh onion, but it tends to throw my boys off of a good meal because they don't love it). Stir so that everything is distributed evenly. 4. Add the chicken thighs to the mixture. Make sure they are set deep (not floating on top). 5. Simmer over a medium heat (depending on your stove, we cook on a gas range). Simmer for 20 minutes, or until the ingredients are cooked to your liking. A simmer lets the flavor distribute nicely, but you don't want it hot enough to scorch. 6. Scoop and serve! I served over a scoop of brown rice, but really anything would do - noodles, a steamed veggie medley … or even just as is. I cannot tell you how amazing this dish is. I scoffed at the recipe because it didn't have a ton of spices in it, but that Tabasco lights it up. Its not overly spicy, but it does have a kick, so be cautious if you're serving to little ones. My husband asked for seconds … and then asked when we could eat it again. This is going into the file labeled "Pinterest recipes that actually work". 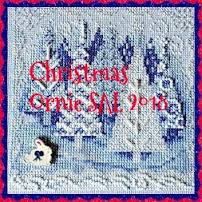 ~ Fabulously Frugal Thursday, Full Plate Thursday, Home and Garden Thursday, HomeAcre Hop, Moonlight & Mason Jars, Showcase Your Talent, Thursday Favorite Things. ~ Anything Goes Linky Party, Be Inspired, BFF Open House Party, Fabulously Creative Friday, Feathered Nest Friday, Flaunt It Friday, Foodie Friday, Rattlebridge Farm Foodie Friday, Foodtastic Friday, Freedom Fridays, Friday Favorites, From the Farm Hop, Frugal Friday, Gluten-Free Fridays, Kitchen Fun Crafty Link, Let's Get Real Friday, Little House Friday DIY Linky, Old Fashioned Friday, The Party Bunch, Pinworthy Projects Party, Shabbilicious Friday, Show and Tell Friday, Thrifty Things Friday. ~ Get Schooled Saturday, Link Party Palooza, Serenity Saturday, Show & Tell Saturday, Super Saturday, Weekend Potluck, Weekend Re-Treat. ~ DIY Sunday Showcase, Nifty Thrifty Sunday, Silver Pennies Sunday, Sunday Best, Sunday Best Showcase, Sunday FUNday, Sunday Showcase, Think Pink Sunday. I am on Day Two of a cold - me and the rest of the country, right?? In my case, it involves a really heavy-feeling head and sore ears. I expect by tomorrow, it'll move into my throat and chest, but meanwhile all I want to do is get some relief from the pressure. 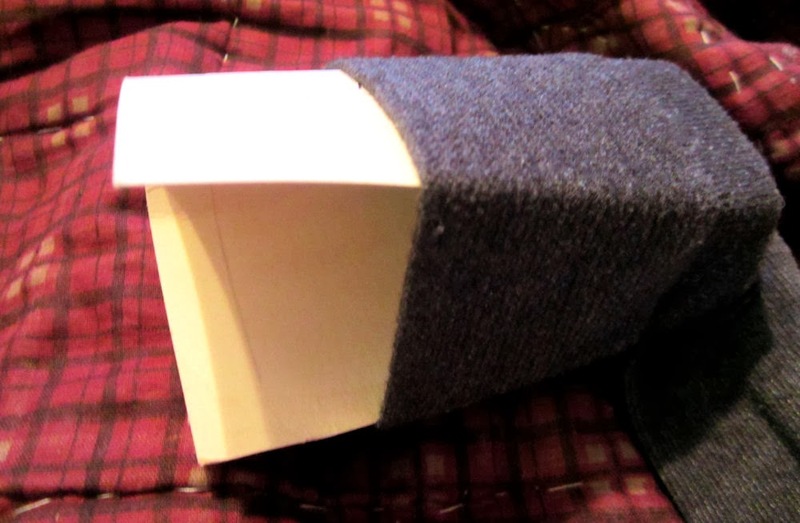 I keep a bunch of rice bags and flax bags on hand to provide soothing heat for various reasons, but for some reason, today I couldn't locate any and being sick makes me whiny and low patience, so after searching for a few minutes, it seemed easier to just make one than to find one. So bear that in mind - this isn't a pretty flax bag! It's an emergency flax bag. Someday, when I'm feeling better, I can make a delightfully cute bag - but today, it's all about getting myself curled up in a chair as quickly as possible with a blanket, a nice cup of tea, and this flax bag, heated up, soothing my poor congested head. The key point is - USE WHAT YOU HAVE. A container, and some sort of grain or seed that can be heated up repeatedly. I used mint and lavender because I had it on hand, and because I think they add to the soothing qualities of the hot pad. Mint helps with congestion, and lavender has relaxing properties and can help with headaches. But if you haven't got them on hand, don't worry about it - the key part is quickly getting to some nice, moist heat. Rice is something usually on hand as well, and it works fine here. As it happens, I didn't have any, but I did have a bag of whole flaxseed. In a perfect world, I might have used both, because flax provides a really nice moisturizing element to the bag that I like. But here again - use what you have, unless it's instant rice or instant barley or instant anything - instant means that when you heat it, it will actually cook, and you don't want that! 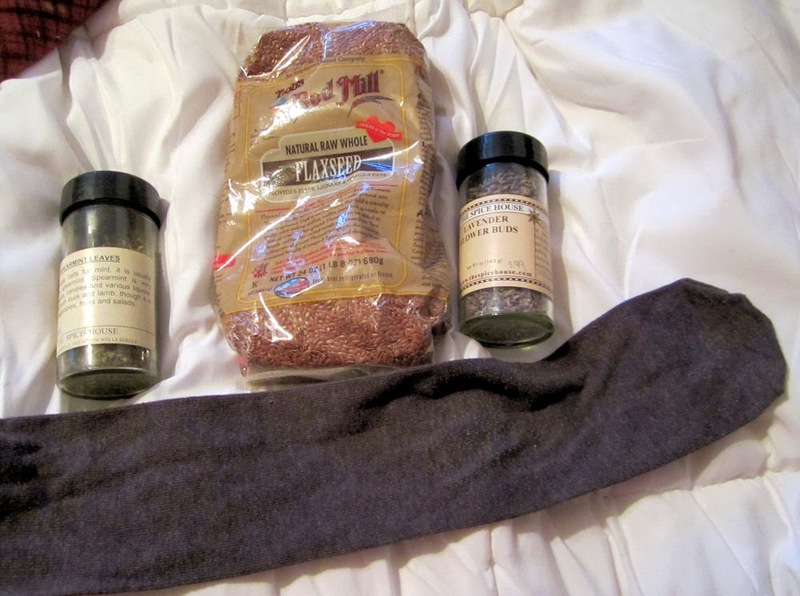 Once you've got your items together, mix the flax and herbs together, and put them into a 2 cup measuring cup. 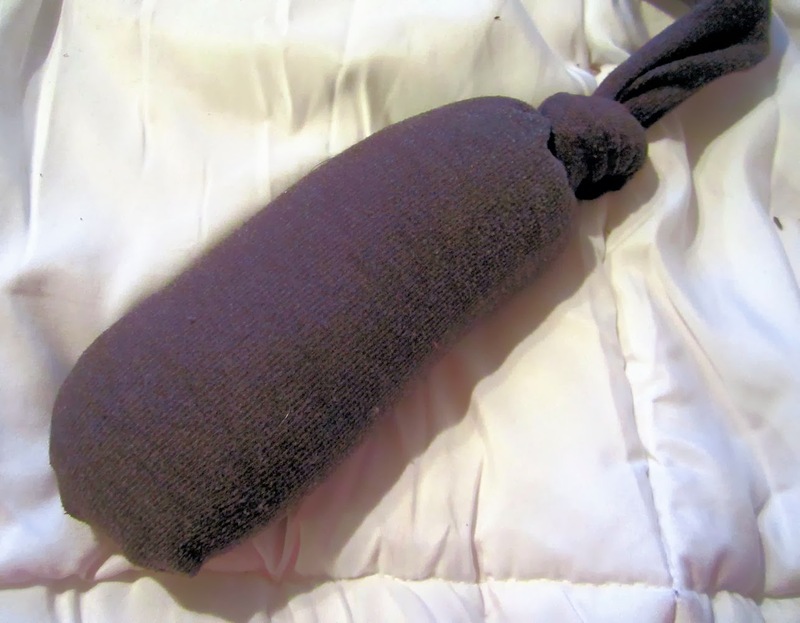 You want a spout to direct the pouring of the flax into the sock. The only even slightly tricky part is getting this fragrant soothing mixture into the sock without making a big mess that will make a sick, pitiful person fall apart and cry. Junk mail to the rescue! Somewhere, you've got a thin piece of cardboard laying around, about post card size. Use that to hold open the sock. Now, pour the flax and herbs into the sock - easy peasy! My knee sock filled up about half way with this 2 cup mixture. 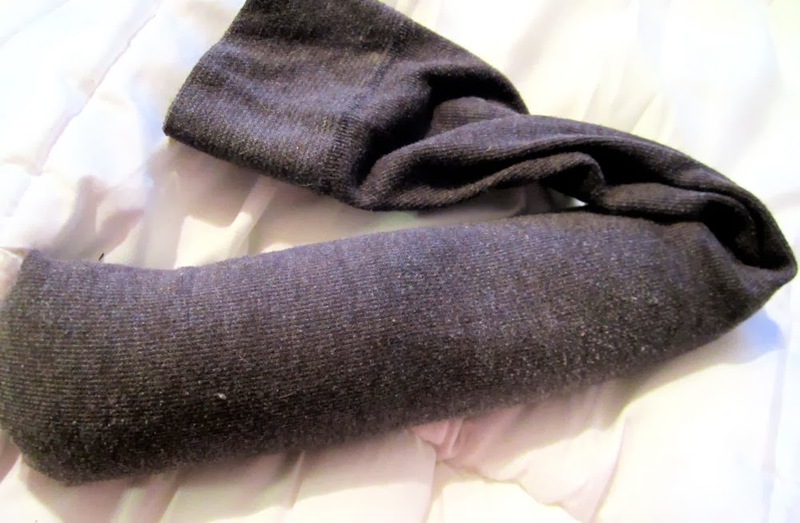 I considered briefly trying to just do a sort of twist and fold over procedure so that the sock could be emptied later, and then I realized that had to be the illness talking - this sock is full of seeds and herbs that will never come out cleanly, and its wayward partner is never, ever coming back. So, instead, I knotted it closed like a sane person would, threw into the microwave for 1 minute, and curled it up near my ear and dozed off into a relieved nap. Total time, start to finish, including the time it took me to tidy my sock drawer and the minute to nuke the flaxseed pad - 10 minutes. Not bad, eh? ~ Down Home Blog Hop, Flusters Creative Muster, Inspiration Board, Lovely Ladies Linky, Party On the Porch, Penny Pinching Party, Wake Up Wednesday, Pretty Wednesday, We Did It Wednesday, We Made That Wednesday, Wednesday Link Up, Wellness Wednesday, What We Accomplished Wednesday, Whatever Goes Wednesday, Whats It Wednesday, Whimsy Wednesday, Wicked Awesome Wednesday, Wildcrafting Wednesday, Wonderful Wednesday, Works For Me Wednesday, Wow Me Wednesday, Wow Us Wednesday, Your Whims Wednesday. ~ Fabulously Frugal Thursday, HomeAcre Hop, Moonlight & Mason Jars, Showcase Your Talent, Thursday Favorite Things. ~ Be Inspired, BFF Open House Link Party, Fabulously Creative Link Party, Feathered Nest Friday, Fight Back Friday, Flaunt It Friday, Freedom Friday, Friday Favorites, From the Farm Blog Hop, Frugal Friday, Kitchen Fun Crafty Friday, Let's Get Real Friday, Old Fashioned Friday, Party Bunch, Celebrate the Weekend Link Party, Show and Tell Friday, Thrifty Things Friday, Unprocessed Fridays. My introduction to this subscription box company could not have come at a more perfect time. Just like so many other people, I made New Year’s resolutions that included the same vows year after year. We all know the ones I’m talking about- Eat better, lost weight, hit the gym. So naturally, just like so many other people, by week two I was burnt out and craving cake. HealthySurprise was precisely what I needed! Just in time, a bright green box showed up in my mailbox. I opened it to find festive tissue paper, like a Christmas gift. I thought it was a nice touch. Under that was an array of delicious looking snacks! What’s even better is the fact that indulging in the contents wouldn’t throw my goals off course! I received the Starter Box, the smallest of three box options they provide. Each Starter box costs $33, plus $7 shipping and is recommended for 1-2 people. In them, you can expect to find at least 11 fun snacks to discover. There was 12 items total in my box. None of the items were sample sizes; they were all full and filling! What’s even better is that out of the 12 products, I had only ever heard of three of the brands! My husband, as well as my 4-year-old daughter, was extremely excited to see the contents of this box. Chocolate, granola, chips, and fruit- I couldn’t wait to dig right in! I love sunflower seeds! However, Sprouts Sunflower Seeds were definitely different than what I expected. I’m used to the small, clean, salty ones you find at a gas stations. These were much more…earthy. I liked them, though. My daughter ate most of these. I’ve never been a huge fan of almonds by themselves. They tend to be the go-to handful snack when dieting and they don’t have a ton of flavor in my opinion, but Trophy Farms Almonds would be perfect for any almond fan. The Enjoy Life Seed and Fruit mix was one of my favorite things in the box. It was the perfect combination of sweet and salty. The Rawma Bar was interesting. I liked it, but the texture was something I wasn’t used to, that I still haven't identified. My husband joked that it should be in a zombie apocalypse kit. Most of the fruit stuff went to my daughter. The very first thing she grabbed when I opened the box was the Tomato Snapz. That was a big surprise! She loved them. I thought they were way to strong. I’m a big fan of tomato products but it was like eating sun-dried tomatoes straight from the bag. After she demolished those, she wanted the pineapple Snapz. She loved them both! 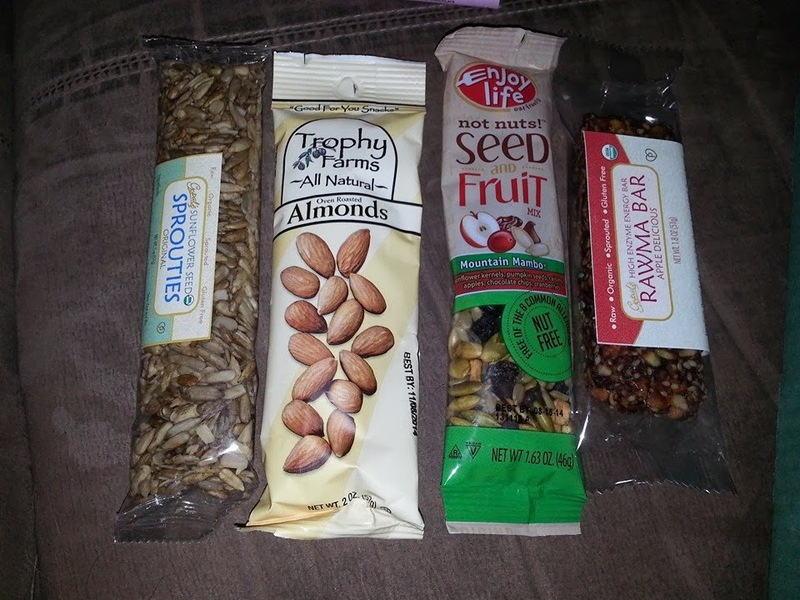 These all made great after school snacks for her, and I’m so happy to have discovered healthy treats that she enjoys. We shared the Veggie-Go Berries, Spinach, and Apples Fruit Leather. It was so good! 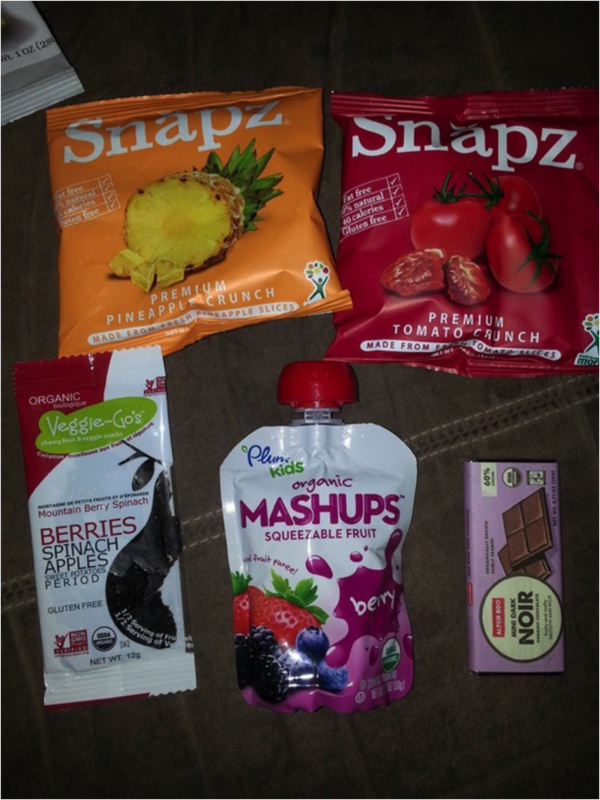 She loves the applesauce pouches, so Plum Kids Berry Organic Mashups was all hers. Over the course of about a week, my husband and I shared the Alter Ego Noir dark chocolate bar. It was very tasty! Hail Merry is already one of my favorite companies. I discovered them in another subscription box a few months back. However, I had never tried the blonde macaroons! These were so incredibly tasty! I was sad there were only a few in the pouch. 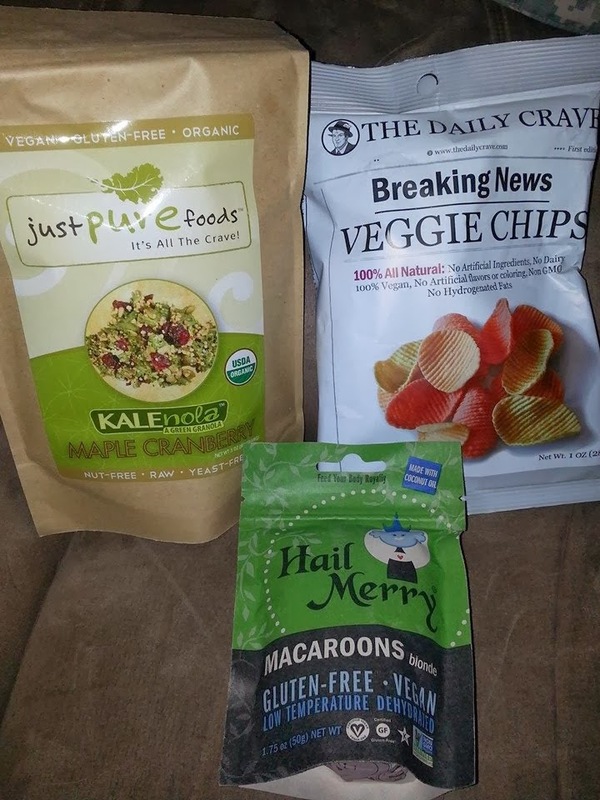 The Daily Crave Veggie Chips I’ve also had before and I knew I would like them. This last item, Just Pure Foods Maple Cranberry KALEnola, I’m still not sure what to think. I love granola! So I was excited to see some in there. Of course, upon further inspection I discovered that this wasn’t granola; it was KALEnola. I opened and smelled it, and then closed it for a few more days. I’ve never been a big fan of Kale, and this was a concept I had never even heard of. Eventually I tried it. It had a little bit of sweetness, and some natural saltiness as well. 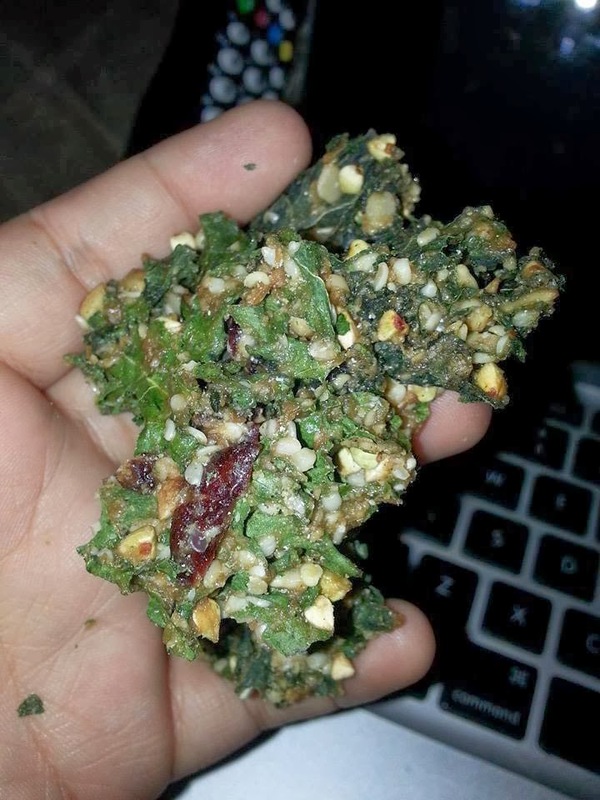 It was crunchy just like the granola I was used to. It was one of those situations where I honestly kept eating because I couldn’t decide if I liked it. Once again, my daughter was a big fan, and my husband liked it well enough. Eventually the bag was empty so I guess it wasn’t too bad! All items in each box are natural, gluten free, vegan, soy free, corn free and wheat free. Aside from the Starter Box option, Healthy Surprise also has the Healthy Box and a Combo Box. The Healthy Box is recommended for up to 4 people and contains at least 16 full size items. It costs $60 a month plus $10 shipping. The Combo box includes both the Starter box and the Healthy Box, and costs $95 with free shipping. Doing a simple Internet search I was able to find each item in my starter box. Their combined cost was roughly $26.50. With it costing $33 plus $7 shipping, that is a little steep. However, I could still see paying for this again as the surprise and convenience seems to make up for the difference! If you have children, and want them to eat healthy snacks, I highly recommend this. No kid could resist new fun snack showing up in the mail! THIS REVIEW AND THE PICTURES INCLUDED ARE NOT SUITABLE FOR CHILDREN OR VIEWING AT WORK. I cannot tell you how much I love subscription boxes. Every month the mailman delivers really awesome samples and new items right to my door! I love trying new things and I get to see what works for my family before committing to it with my money. And, most boxes offer you discounts or points toward purchases for things you were going to buy anyways. 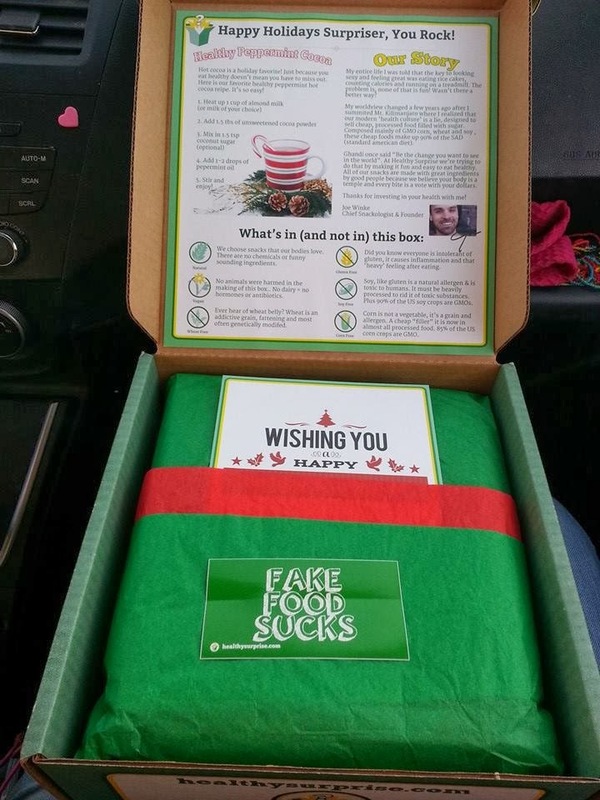 I received my second Bulu Box right before the craziness of the holidays hit. We were headed out the door for vacation, so I tucked it away to break into after the first of the year - conveniently, right at the time when weight loss resolutions are in full swing! 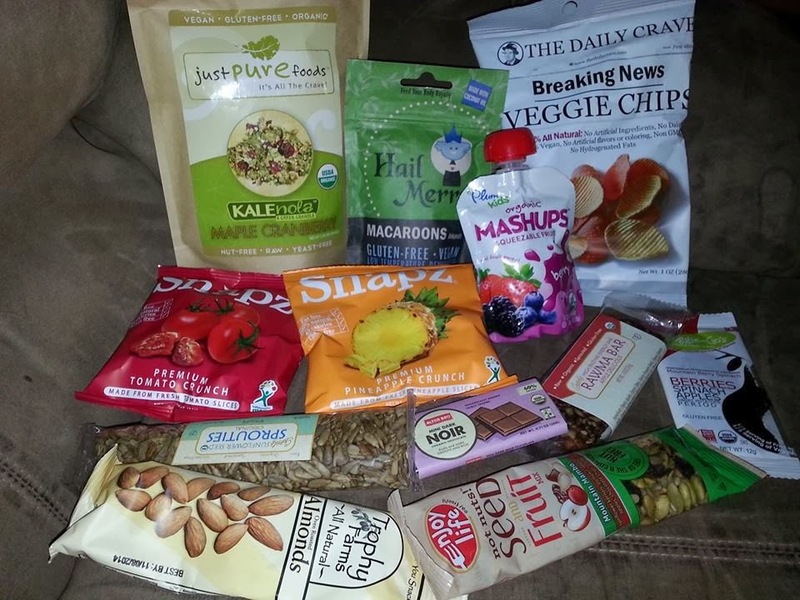 Bulu Box offers two different subscription boxes - original, and weight loss. Last month I reviewed the original Bulu Box, so this month I decided to take a look at the Bulu weight loss box. While the original Bulu Box provides premium samples for health and nutrition, the weight loss box lives up to its name by providing products that are targeted toward losing weight. There couldn’t be a better box for my New Year’s resolution to get back into shape after baby! Creative Bioscience: 30 Day Diet is a blend of African Mango and Raspberry Ketones that is meant to give your diet a kickstart and assist you in ditching your cravings for bad food! I have heard that once you “detox” your body from sugar, grease, and other foods that we come to crave, its easier to say no to them in the future. This sounds like a really great way to give yourself an extra boost, especially after the overindulgence of the holidays (or was that just me?). Mestrength is described as “clean, efficient fuel for your body”. It provides pre- or post- workout hydration with no caffeine and the addition of creatine. My husband works out at the gym five days a week and he snapped that right up! The box came with two samples - he just added the packet to his bottle of water. He said the taste was decent and he definitely felt more awake during his lifting, so this product gets a thumbs up. When you subscribe to Bulu Box you earn points for reviewing the products in your box, which can be used like cash in the store! I think our point cash will be going towards a box of these. Barleans Omega Swirl is a delicious alternative to Omega 3 pills. Omega 3’s are amazing for energy, healthy, and weight loss. They have also been proven to help hair, skin and nails! This product got great reviews in the Bulu Shop, and it didn't disappoint. Technically this is a fish oil but you’d never know that by the taste. It went into my morning smoothie and was a great way to get some of the nutrients without taking another pill. Tapaz 2 Go is by far my favorite product in this box. It's a single serve pouch of lentil crackers with a tub of hummus. It is gluten and GMO free, and incredibly easy to take with you anywhere! We love hummus in our family (even our two year old will eat it, if you can believe that) and this would be such a great snack to take on the go with us, or to even leave in the car for the times you are on the run longer than you expected. It certainly beats drive through food. Once again, Bulu Box delivered some really great items that I fell in love with, but would have never thought to buy on my own. If you love to discover new products that help you feel great and lose weight, Bulu Box is definitely for you! All the products you see here, plus a large selection of other products, are available full size in the Bulu Box Shop. Bulu Box is offering a limited time code that will give 50% off any subscription order. If you go to Bulu Box and select your subscription, enter the code: BULUGAN589 . You can get a one year subscription for just $55. That works out to $4.50 per box SHIPPED! That's a great deal. Even if you don't love every sample you receive, you can give them to someone in your life - and its always fun to get mail no matter what! Here’s to a new year! When Michael and I got married this summer, we decided we wanted our wedding to be small but meaningful, and incorporating a number of meaningful elements that weren't entirely standard to the 'traditional' modern American wedding. 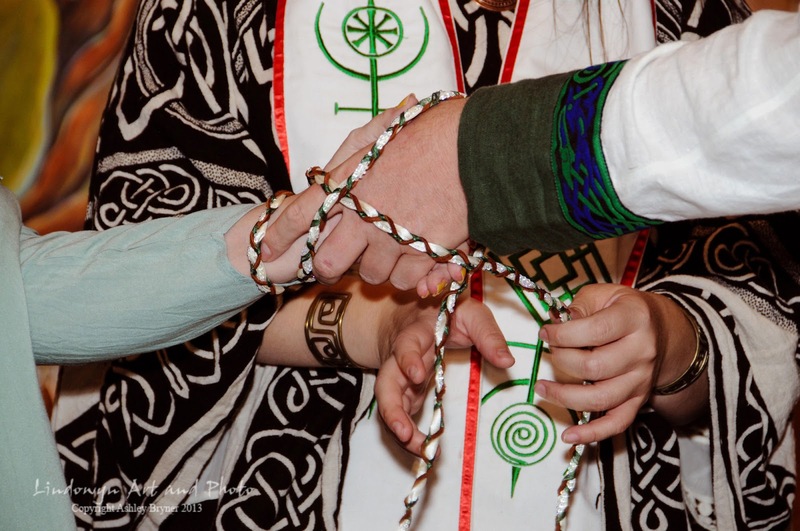 One of the things we did in the ceremony was to have a handfasting ritual as a part of the service - a European custom that has been adopted by many Neopagans and others seeking alternatives to the traditional liturgical wedding ceremony. Historically, handfastings were common law marriages, necessary in areas where there was no local clergy, so that couples could be legally wed before they were able to have it sanctified by their religious institution. Today, the custom can be an element of a clergy-led legal wedding ceremony, as it was in ours. I think it would also be a lovely element for a marriage reaffirmation. What happens is that the hands of the couple are literally bound together by a length of cord, symbolizing the bond formed by marriage and the understanding that the future is knitted together, each one's actions connected to the other's wellbeing. There is no longer two separate paths, but one path braided together. 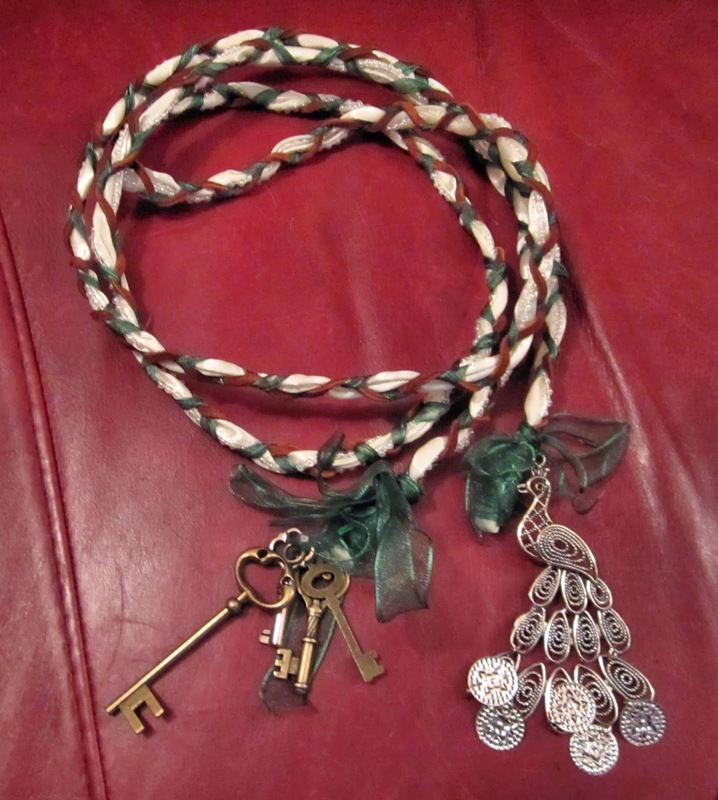 I wanted a handfasting cord that we could keep, and so I made this for us. Ours was long enough to wrap our hands, but I have since seen examples of cords long enough to wrap around the couple's waists, to completely bind them together. If you decide to do this, keep in mind that it will be much shorter after it's been braided, and increase length accordingly. 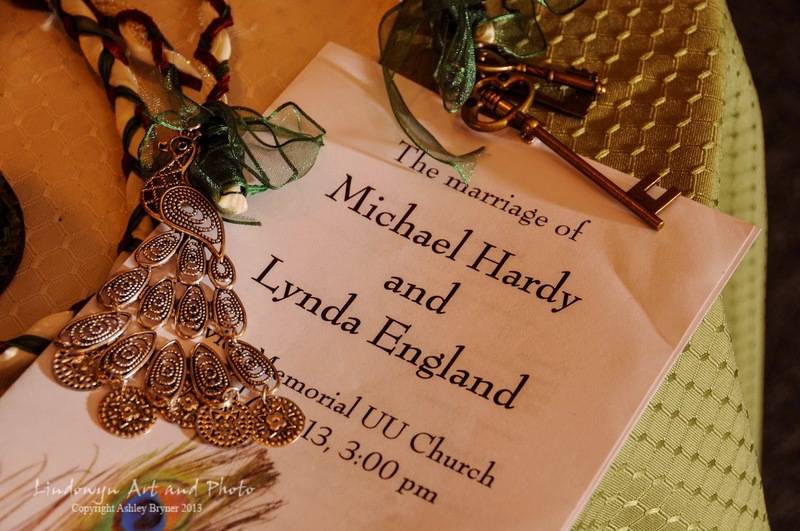 The three cord elements we chose were specific to us - brown leather to represent Michael, ivory silk ribbon with pearl edging to symbolize me, and a length of sheer forest green ribbon to symbolize our union (the predominant color of our ceremony was green). The findings are easily found at any of the major craft stores, and are a good idea to provide the rope with a bit of weight so it hangs well during the ceremony. Almost anything could be used in place of these, including old jewelry, watch fobs, something 'borrowed' or 'blue', etc. By all means, choose something meaningful to the two of you! The three ribbons need to be braided together - as you can see from the picture, the various widths and textures provide an interesting pattern, even though this is just a simple three strand braid. In order to manage such a long length, I tied the three strands together on the back of a dining room chair, and then stood up to do the braiding, moving back little by little until I got to the end. Make sure you won't be interrupted through this! It doesn't take a terribly long time, but you won't be able to stop in the middle. When you get to the end, about 2 inches remaining, wrap it closed with a length of thread or florist wire, then flip up the loose edges and wrap them as well, so they can be cut close and not be seen. Untie it from the chair, and do the same on that end. Now, use an 18" length of ribbon, and wrap that to cover the thread or florist tape. At some point, before you finish, thread your finding onto the ribbon (the ones I used had holes for this), and then tie the ribbon off into a bow. That's it! There is plenty of room here for personal creativity, so that you can create a handfasting cord as unique and wonderful as your relationship is. ~ Anything Goes Linky, BFF Open House, Fabulously Creative Friday, Feathered Nest Friday, Flaunt It Friday, Freedom Fridays, Frugal Friday, Party Bunch Friday, Pinworthy Projects Link Party, Shabbilicious Friday, Show and Tell Friday. ~ Get Schooled Saturday, Tater Tots & Jello Link Party Palooza, Serenity Saturday, Show & Tell Saturday, Weekend Re-Treat. ~ DIY Sunday Showcase, Happiness is Homemade Link Party, Nifty Thrifty Sunday, Silver Pennies Sunday, Suburbs Mama Sunday Linky, Think Pink Sunday. Recipe Yields 18-20 cookies. Prep Time 10 minutes. Cooking time 30 minutes total. Preheat oven to 350°. Line two small baking sheets with parchment or Silpat. Mix dry ingredients and vanilla in the bowl of a stand mixer until thoroughly combined, breaking up clumps of seeds by hand. Add 2 eggs and mix on low speed until mixture resembles sand. Slowly add a splash of milk to help dough come together. You may not need the whole 1/4 cup. You will have to combine dough by hand. It should not be sticky or wet feeling. Divide into 2 even balls and roll into logs about 8 inches long. Place on baking sheets and flatten the dough by hand until it resembles your desired look. Bake for 15-18 minutes at 350° or until lightly browned at edges. Remove from oven and allow to cool. Use a good serrated knife and gently cut into 1" wide slices. Return slices to cookie sheet and bake at 325° for about 15 minutes or until you achieve your desired texture. Biscotti should very firm as they are made to be dunked into coffee (or in my case tea). ~ All About You Link Party, Anti-Procrastination Tuesday, Backyard Farming Connection, Be Inspired Tuesday, Brag About It Link Party, Create - Link - Inspire, From Dream to Reality, Handmade Tuesday, The Inspiration Exchange, Made By Me, Nifty Thrifty Tuesday, One Project at a Time, The Scoop, Share It Link Party, Take It On Tuesday, Teach Me Tuesday, Time to Sparkle, Tip Me Tuesday, Too Cute Tuesday, Totally Tasty Tuesday, Treasure Box Tuesday, Tuesday Confessional, Tuesday Talent Show, Tuesday To-Do, Tuesdays Treasures, Tutorial Tuesday, Two Cup Tuesday. 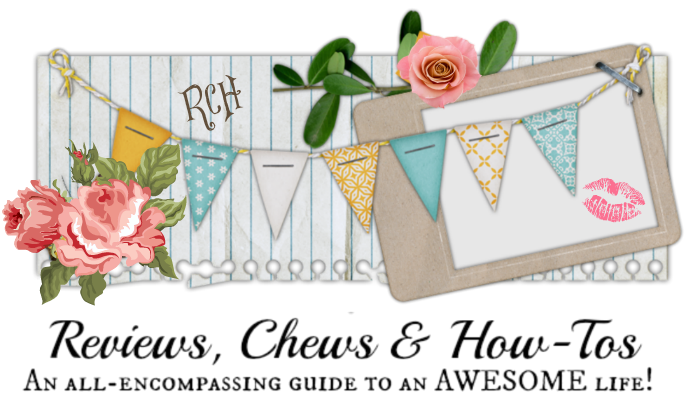 ~ Downhome Blog Hop, Empty Your Archive, Flusters Creative Muster, Homemaking Party, The Inspiration Board Creative Party, The Inspiration Exchange, Lovely Ladies Linky, The Mommy Club Wednesday Link Up, Mom's Library Weekly Link Up, Party On the Porch, Penny Pinching Party, Pretty Wednesdays, We Did It! 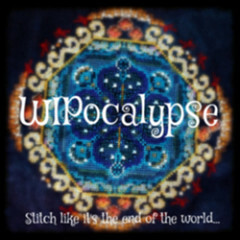 Wednesday, We Made That Linky Party, Wednesday Whatsits, What We Accomplished Wednesday, What's Cooking Wednesday, What's It Wednesday, Whatever Goes Wednesday, Whimsy Wednesday, Wonderful Wednesday Blog Party, Wonderfully Creative Wednesday, Works For Me Wednesday, Wow Me Wednesday, Wow Us Wednesday, Your Whims Wednesday. 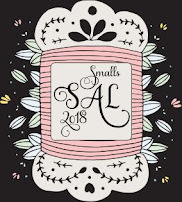 ~ Fabulously Frugal Thursday, Full Plate Thursday, Home & Garden Thursday, Moonlight & Mason Jars Link Party, Showcase Your Talent, Thursday Favorite Things. ~ BFF Open House Link Party, Fabulously Creative Friday, From the Farm Blog Hop, Feathered Nest Friday, #Foodie Friday, Foodie Friday, Foodtastic Friday, Freedom Friday, Friday Favorites, Frugal Friday, Frugal Homeschool Friday, Kitchen Fun Crafty Friday, Party Bunch, Show and Tell Friday, Thrifty Things Friday. Awhile ago, I was slowly caramelizing some onions and browning beef cubes intending to make some beef curry, when I suddenly thought Gulaschsuppe, and that sounded a lot more interesting than curry. I asked Michael which he'd prefer, and after a moment's thought we agreed that a nice spicy stew was a good idea. I have realized that this dish is as close to a 'signature' dish as I've got. The one that my children will remember many years of sitting down to it for dinner.... the one I know will be well received (at least by those who like spicy) at any potluck I might attend. It is surely the recipe I've been making the longest that I still enjoy eating! This is a popular German stew/soup - some areas will add peppers to it, others will remove the potatoes and just make it about the beef. It wouldn't be traditional - but I think sweet potatoes could be happily swapped out for the potatoes. I made a couple minor changes to my usual recipe this go-round - I used tallow instead of olive oil (it was, simply, what was at hand). I like using tallow to brown beef because it adds a rich, meaty taste and lets the meat brown really well while remaining tender. 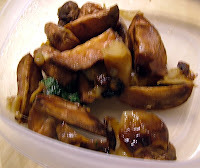 I also added a splash of balsamic vinegar along with the wine when I deglazed the pot, again, because it was at hand. It smelled good! I'm not sure if it did anything particularly different from the wine, but everything came out quite rich and hearty. Cook onion and garlic in olive oil until the onion is caramelized. Scrape pot and add beef, browning well .. the crusty bits add to the flavor. (Don't burn.) Scrape the pot again and add the wine and balsamic vinegar, which will deglaze the pot - let it simmer on low until the wine has almost entirely evaporated. Add broth, bay leaves, caraway seeds and paprikas, and let simmer for as long as you've got time for... I like to give it at least an hour, but less is fine, as long as you let it cook long enough to tenderize the beef. Add potato cubes and enough water to cover plus about 1 inch above, and bring to boil. When potatoes are tender, add tomato paste, lower to a simmer and let cook for about another 15 minutes. If you like, give it another splash of wine just before serving. I also served this with the Grain-Free Biscuits that have become our go-to choice for bread, when we need some. One a whim, I tossed about a 3/4 cup of shredded cheddar cheese into the batter, and they turned out really moist and delicious that way! Just a quick little entry, to show off a delightful way to prepare potatoes. Last night, we had a delicious roast chicken with swiss chard, and these delightful roasted potatoes and shallots. Other than the chicken, everything came from the farmer's market, and the potatoes were the star of the show. The little red potatoes turned out to have a rosy pink interior (it was all caramel brown after cooking), very pretty little things, and they taste amazing. The prep was very simple - washed and unpeeled, quartered potatoes, tossed in olive oil with sea salt and fresh ground pepper. Roast at 400F in a baking dish for 30 minutes, then add peeled, halved fresh shallots, toss with more olive oil and little bit of dried rosemary (or throw on a fresh rosemary sprig) and bake for another hour, until everything is richly caramelized. The potatoes will have a crispy outside and buttery inside and the shallots will be tender and sweet. Amazing, earthy, and we'll be doing this one a lot. I had never been a shop-o-holic for clothes. Then I had a daughter. It became a sickness. I just loved new clothes for her. I didn’t care if they were brand new, given to me, thrift shop, yard sales, etc. Of course actually caring for the small child left little time to do the shopping. At Sweet Pea Box they take all the work out of getting amazing new clothes for your little ones. Once a month you can have a box of 4,6, or 8 items shipped right to your door. 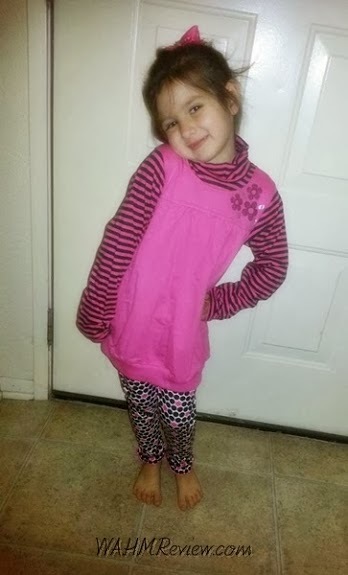 I was asked for my daughter’s age, size, gender and a style preference. Sizing was really difficult to decide because my daughter is VERY tall, yet has almost no waist. For her arms and legs we normally have to get 3t-4t. However if length isn’t an issue, I can still fit her into 12-18m shorts/skirts. It’s insane. So I was a little nervous! As for style I was given the option of athletic, comfy, country, princess, playful, preppy, and hipster. I told them I’d love a mix except for country (I really don’t like ruffles and such) When signing up through their website you can also choose color preference (brights, pastels, darks, whites, earth tones, and Any) as well as leave the stylist any additional requests of clothing to add or even exclude. When the box arrived it was very exciting. My daughter absolutely loves getting mail for herself! When we check the mail she will ask ‘but did you check if there is anything for me?’ I think she thinks she has her very own mailbox and it makes her really sad on days there is nothing for her. She immediately had to try them on. It was a box of 6 pieces, which came in the form of three adorable outfits. This was her favorite of them all, probably because of the tutu aspect. 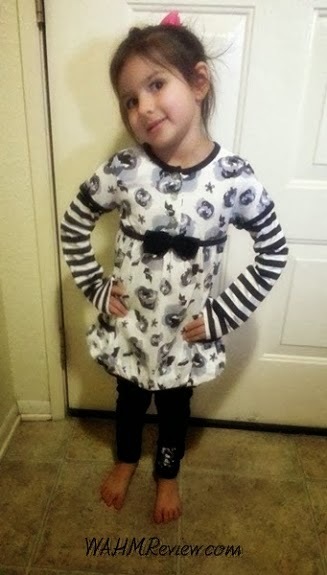 It is a shirt with a tutu and a faux sweater (it is all sewn together as one piece) and plain black leggings. It all fit her well. The pants were certainly loose around the waist but since they are leggings they stay on just fine. This was my favorite in the box. It looks really good on her and fits well. The sleeves are a little long but it still looks really cute. It comes with black leggings with a small grey flower to match the long sleeve shirt. While we all thought this outfit was very cute, it was just too wide for her small frame. Hailey chose a friend that she wanted to give it to for Christmas, and it fit that girl perfectly. It was a really thick, warm top and funky matching leggings. I really liked that they were all leggings as that really helped them fit her without having to put drastically different sizes together. I also liked that they were seasonally conscious and all included warm long sleeved tops. I do wish there was a little more diversity in the bottoms. Two pieces were black leggings, one just had a small grey flower on it. This box would have cost $40. I find that to be more than reasonable for 3 whole outfits, especially of that quality. I didn’t notice with all of them, but I did see that one had a ‘suggested retain price’ of $46, so you know these are not cheap clothes. A 4-piece box would cost just $30, and the 8 pieces would run $50. I contacted the company once with a concern I had. Two of the outfits still have store tags on them, while one not only didn’t have a new tag, but the inside clothing tag was also roughly cut out with scissors. The website says all clothing is 100% new, so I was a little confused by that. They pointed me to a disclaimer on their site which states that some distributors require this if they have a brick and mortar store. That way customers wouldn't be able to get them from the box and return them to a store for much more than they got them through Sweet Pea Box. It makes complete sense to me. I definitely recommend this subscription box to any parent out there. They have sizes ranging from 0-3 months all the way to size 8. You can get for both girls and boys, and you can even split the box between siblings! It is like having a personal shopper for your children that will supply you with adorable, good quality clothes, and best yet- it’s a surprise! I do wish that there were an option for shoes as well, though. Keep an eye out for Part Two next month, as I will be reviewing consistency in the products! I can’t wait to buy this box for my daughter again and again! They definitely have a forever customer in me.